Cognac is a brandy that is produced in the Cognac region of France. Cognac is usually distilled twice as opposed to Armagnac which is mostly distilled only once, so it tends to be smoother than Armagnac’s of a similar age. For a brandy to be called a cognac it must be made from authorized grapes, twice distilled in copper stills and aged in French oak barrels for at least two years. Like whisky, cognac is aged until it reaches what the distiller considers to be its peak or another time appropriate for bottling. 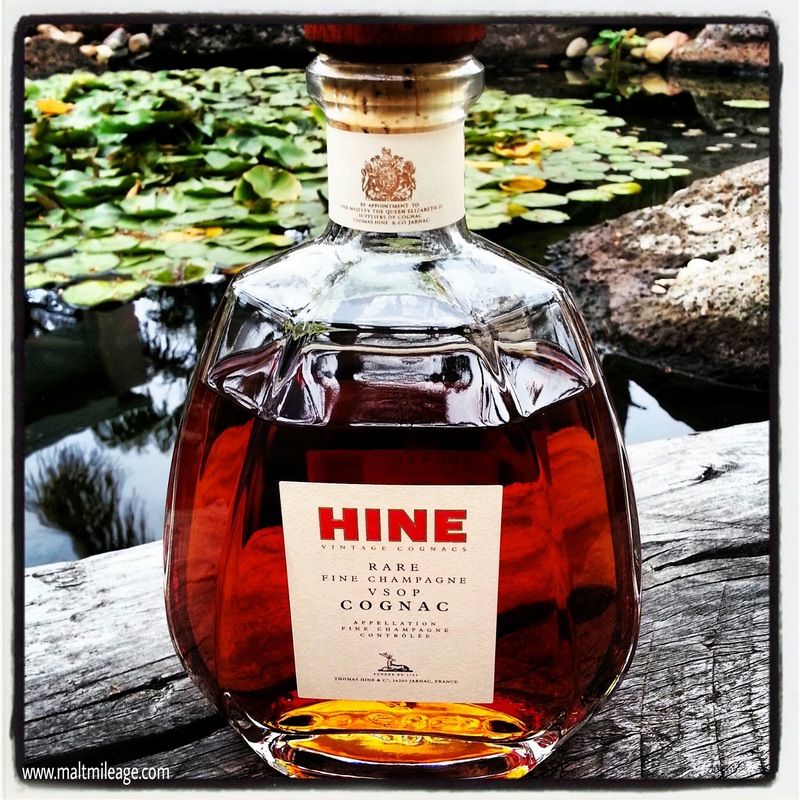 Hine Rare Fine Champagne VSOP is a superb cognac. Glistening with a bright deep amber colour it releases a complexity that has a powerful presence in the glass as it oozes with syrupy sweet grape goodness on a thick oak foundation. On the nose this cognac is soft and light with vibrancy and a dry chardonnay filtering though, almost a dry champagne. It offers a dense buttery pasty that is accompanied with a syrupy sweetness, almost akin to preserved grape or jam. Fizzy, this sweetness also resembles a bubbly Cream Soda as its sugars waft up from the glass with creamy vanilla, dark cherries and the tang of passion fruit. Within the sweetness and the flood of dry wood is a spritz of lime and the glistening spark of nutmeg and radiating aroma of nutmeg. Luscious and silky smooth, a surge of dry wood and grapefruit strike the tongue as a wave of vanilla and syrupy sweet preserved grape and cherries wash away the dryness. As the wave of sweetness recedes the dryness returns, this time in the form of dark chocolate and oak, as the chocolate begins to lose its buttery oiliness and morphs into ground cocoa powder. The light glow of spice in the sweetness resembles a mulled wine, made of a high grade and full bodied dry wine. The finish is long and initially sweet, but as the liquid begins to fully evaporate from the mouth it becomes dry and a cloud of dry wood, cocoa powder and burnt toffee mingles with the sweet syrup lingering on the tongue.